What does it mean to be Lean and what is the next step? A case study. How does your transformation team balance results with the goal of developing others? How do you make operational excellence part of the day job for middle leaders? How do you tailor the journey to individuals while maintaining simplicity when addressing the all? Baptist Health Care is a community-owned, not-for-profit health care organization that is committed to helping people throughout life's journey. The organization is a proud member of the Mayo Clinic Care Network. A 2003 Malcolm Baldrige recipient, Baptist continuously strives to be a national leader in quality and service. Baptist Health Care includes four hospitals, two medical parks, Andrews Institute for Orthopaedic & Sports Medicine, Lakeview Center, Baptist Medical Group and Cardiology Consultants. 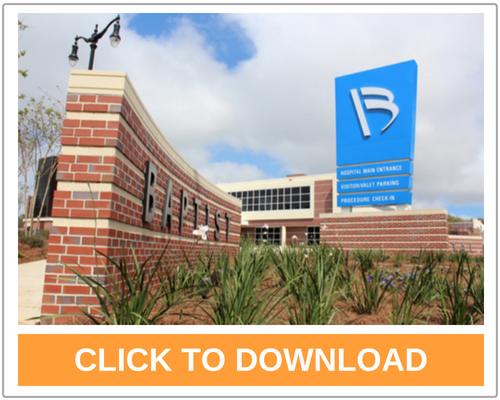 With more than 6,700 employees and employed physicians, Baptist Health Care is the largest non-governmental employer in northwest Florida. It has had considerable benefits with operational excellence since they embarked on this journey several years ago, but how have they sustained this in the organization? Download this slide deck to see Adam Johnson discuss their journey; the path they have walked and what they have learned along the way, as well what they would do different. 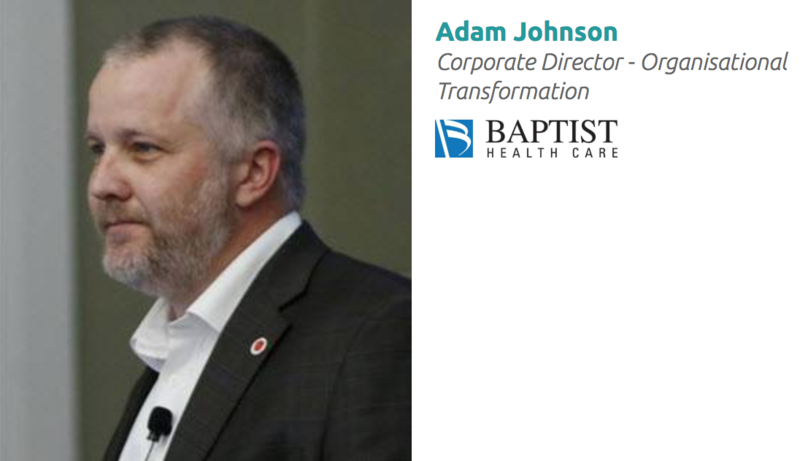 Adam Johnson, Corporate Director for the Center for Organizational Transformation at Baptist Health Care, began his career with Baptist ten years ago as a Process Engineer and prior to that, worked for BearingPoint as a Consultant supporting Naval Aviation Repair and Overhaul. The transformation effort at Baptist Health Care led by him has resulted in establishment of a corporate A3 Training Program (recognized in Training Magazine), a Value Stream Management discipline, Daily Management processes in over 40 departments, tiered huddling, and Training Within Industry for Job Instructions. In addition, he continues to lead the effort to assess and expand transformation competencies for the organization while maintaining clarity and focus on overall process improvement framework, as well as alignment to system strategies. The A3 program has produced workflow improvements and improved retention among participants, showing a turnover rate at 1/5th the norm for the general workforce. Adam received a Bachelor’s degree in Mechanical Engineering at Auburn University and an MBA at the University of Miami, where he was introduced to the study of quality and achieved his Six Sigma Black Belt.